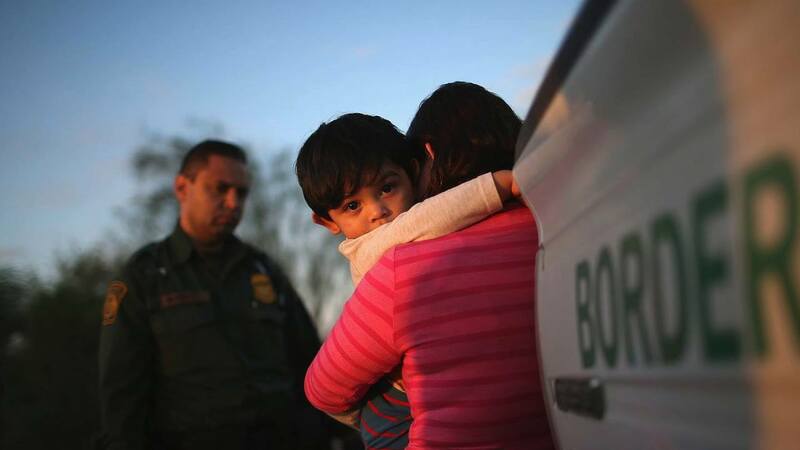 Family separation and now the proposed indefinite detention of children seeking asylum. How are these policies affecting the physical, mental and spiritual health of both the children being targeted and the health of our communities where these things are happening? What does it say about us as Americans, especially as citizens of South Texas? These critical issues demand we come together to better understand, process, and act. Join us for a panel discussion and interactive community event. Panelists include faith leaders and world renowned pediatric and public health physicians with extensive experience working with displaced children in crisis. Focus will be on the harm to the children and the trauma they suffer, from the dangers they are fleeing to the inhumane conditions they face in detention. With the recent proposed regulations, their detention may become indefinite. Following the panel discussion, the audience will form small groups to discuss the issues and explore ways to take action. This event is the perfect opportunity to bring your friends and family who may be unaware about the conditions of ongoing detention and the consequences. Dr Fernando Stein – Past President of the American Academy of Pediatrics, 2017. Medical Director, Progressive Care Unit, Texas Children’s Hospital.A native of Guatemala, founding member of the Section of Critical Care, the Council of Sections Management Committee and the Committee on Membership of the American Academy of Pediatrics. Dr. Paul Wise – Richard E. Behrman Professor of Child Health and Society, Stanford University. Wise is also a Senior Fellow in the Center for Democracy, Development and the Rule of Law and the Center for International Security and Cooperation, in the Freeman-Spogli Institute for International Studies, Stanford University. He is also co-Director of the March of Dimes Center for Prematurity Research at Stanford University. Dr. Marsha Griffin – Professor of Pediatrics and Director of the Division of Child and Family Health and the Community for Children program at the University of Texas Rio Grande Valley School of Medicine.Dr. Griffin has spent the last ten years writing and speaking about her concerns for the trauma inflicted on the children living along the border, as well as those children who are forced to pass through this region in search of safe haven. Health from University of California, Berkeley. She is an Assistant Professor of Emergency Medicine at Stanford University School of Medicine focusing on limited resource settings domestically and abroad. Over the last six years, her work has focused on the neglected burden of global emergency disease as a public health concern through projects that focus on education and sustainable capacity building. Sister Norma Pimentel (pending) – Sister Norma is the Director Catholic Charities Rio Grande Valley. One of the crises most visible and indispensable leaders, she runs the Sacred Heart Respite Center in McAllen, TX. She is the recipient of numerous awards for her work, including the Laetare Medal, the highest honor and American Catholic can receive. She was awarded the Hispanic Heritage Award for service at their even at the Kennedy Center. Rev. Dr. Helen Boursier [Bor-SEE-Ay], Ph.D. – An interdisciplinary practical theologian whose governing interest is the role of social justice as it relates to the church’s public ministry in the world. A missiologist, educator, author, and artist, “Pastora Helena” was a volunteer chaplain for two years inside an immigrant family detention center (2015-2016) where she facilitated art as a pastoral care ministry of presence with women and children seeking asylum in the U.S. from the violence in their Central American homelands. Her academic research and writing integrate Arts-Based Research with the ethical-theological-philosophical aspects of the systemic issues surrounding mass migration. Pastor John Garland – Pastor of the San Antonio Mennonite Church. John Garland has lived and worked in the Texas/Mexico border as a public school teacher and pastor. He has an active program sheltering refugree families dropped of by ICE and stranded in San Antonio. He is a passionate advocate for social justice. The Rev. Ann Helmke – an ordained Lutheran (ELCA) minister who has been serving in San Antonio community for over 25 years. She has served in a congregational setting and is one of the co-founders of the San Antonio peaceCENTER, where she continues to serve in this all volunteer and interfaith organization as the animating director for almost 20 years. Rev. Helmke’s full time call and position is as the Director of Spiritual Services at Haven for Hope, a unique transformational center that directly serves in helping people transition from being without permanent shelter to a sustainable home in their lives, including a faith and spiritual home. For almost two years, Rev. Dr. Helen Boursier and other volunteer chaplains facilitated an art ministry for moms and children held in a for-profit immigrant family detention center in Texas. The detainees were mostly from El Salvador, Honduras and Guatemala who had made their way across Mexico to the U.S. Border. As a professional photographer, and with their permission, “Pastora Elena” recorded much of the work of the 5,000 mothers and children who participated. In December of 2016, ICE abruptly cancelled the security clearances of the volunteer chaplains and discontinued the art ministry. Rev. Boursier’s images of the works tell the families’ powerful stories in a way that words alone cannot. She first began sharing them on her blog, Refugee Art, where she posted pictures and translated the women’s written reflections into English. In May, the Interfaith Welcome Coalition commissioned her to create a touring exhibit of Giclée prints, texts, and photographs that could be passed from church to synagogue to mosque to parish so that many people of faith could experience them. This stunning collection helps us understand the plight of these Central American families more deeply: the violence they endured at home, the horrors of their passage, and the unrelenting hope which sustained them on their journeys.